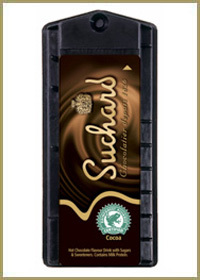 The Suchard hot chocolate capsule is one of the most popular drinks in the Kenco Singles range. It is a smooth, rich and indulgent treat offering a continental style hot chocolate drink. 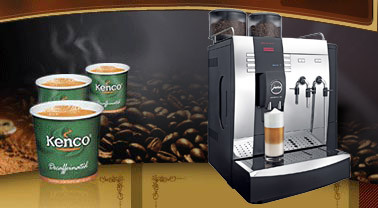 As with all of the Kenco Singles range the sealed capsule means that the product stays fresh until it is inserted into the Kenco Singles brewer and the drink is produced. The sealed drinks capsules make the Kenco Singles system a great choice if you are concerned about maintaining the freshness of product in your hot drinks machine. 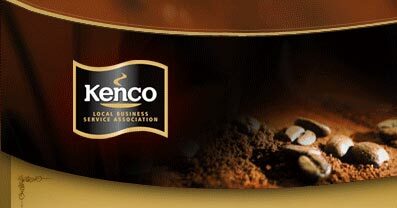 Kenco Local Business Service are the most competitive supplier of Kenco Suchard chocolate Singles drinks, as well as the rest of the range of capsules, across London, Buckinghamshire, Berkshire and Hertfordshire. We keep all of the different flavours in stock and have delivery drivers visiting all parts of the region on a regular basis, enabling us to offer a top class and efficient delivery service. If you are buying these products anywhere else please contact us as we can almost certainly offer you a more competitive deal. We can also supply both new and reconditioned Kenco Singles brewers and our fully trained in-house technical team can provide all of the service back up that you may require, either on a contracted or ad hoc basis. Our warehouse just outside of Hemel Hempstead allows us to offer a great service in towns such as Berkhamsted, St Albans, Maidenhead, Basingstoke, Henley and Welwyn Garden City.